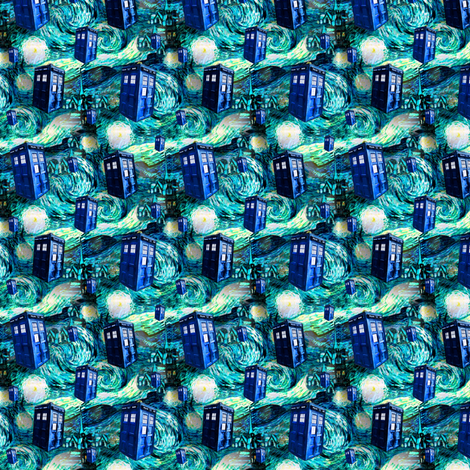 I recently added a second version of this fabric with more police boxes amongst the landscape. Have you seen it? I think the first one is still more popular, but I thought I'd post it here on le stitchery blog in case you missed it. Click on the images to visit my Spoonflower shop.